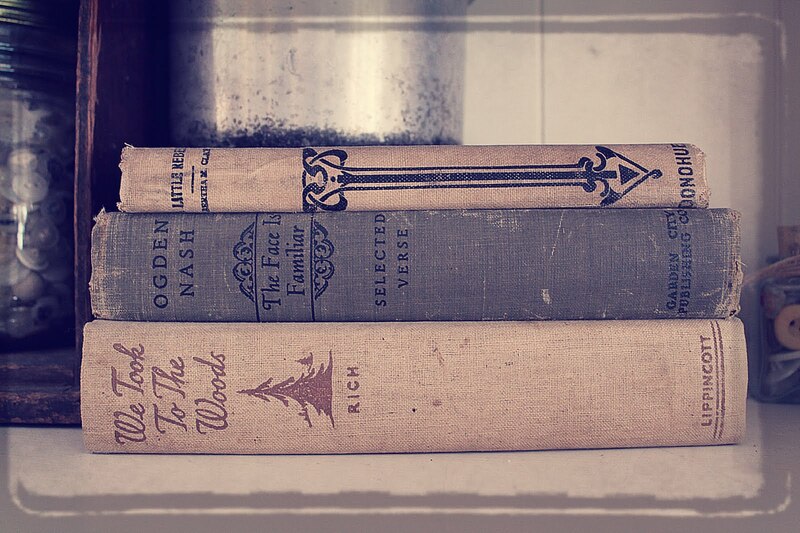 The one thing I always keep my eye out for when I visit a thrift shop are old books. The older the better...and the color is important too. Even better if the title is unique. In some cases, it will make or break a sale for me. 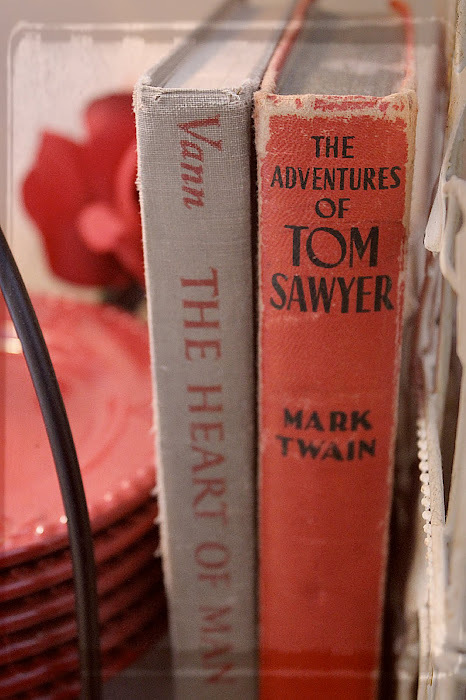 ...and some for even less...this Tom Sawyer edition for instance, was marked at 25 cents! 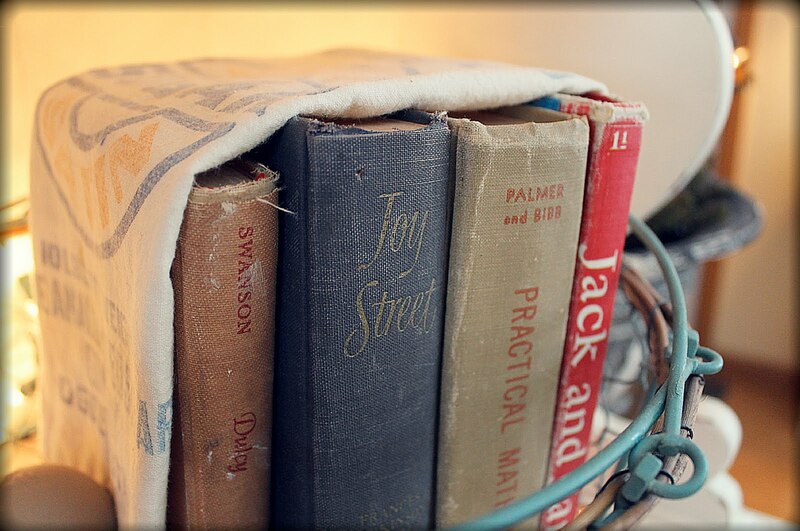 Books are great fillers. A few here and there can really warm up a little space in the house. I typically stack them as color coordinated as I can. I especially love neutral colored hard covers. They are just so pretty anywhere...but throwing in a little unexpected color can be fun too. 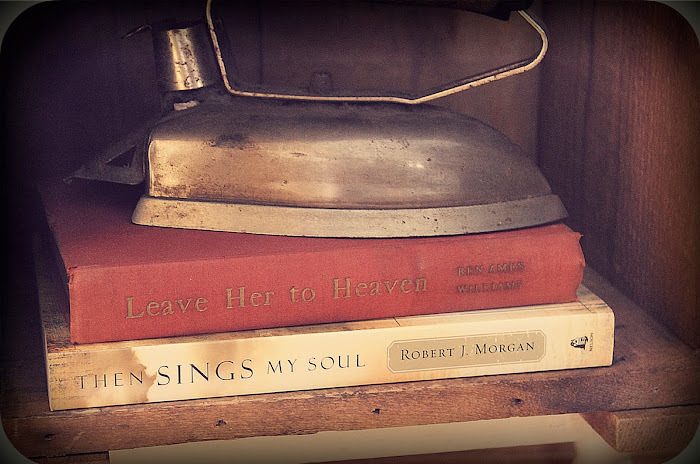 In my bedroom I tend to keep the newer books. 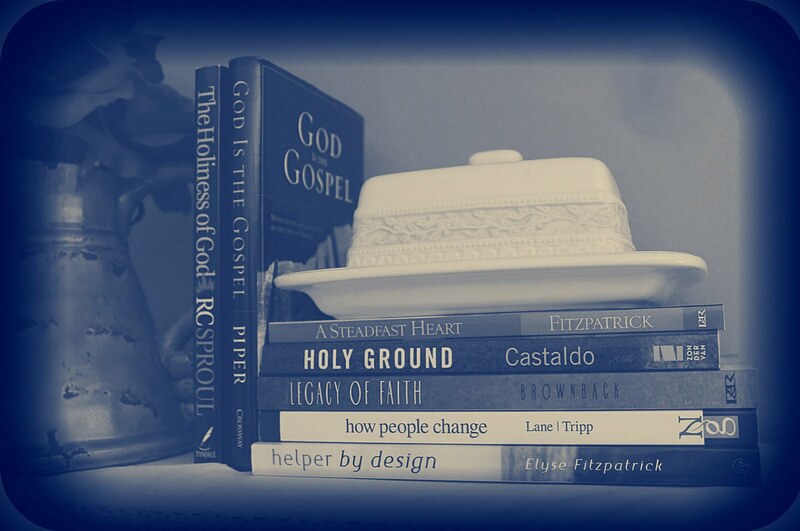 The ones I still want to read, or the ones that really impacted me...you know, the 'life changer' books. 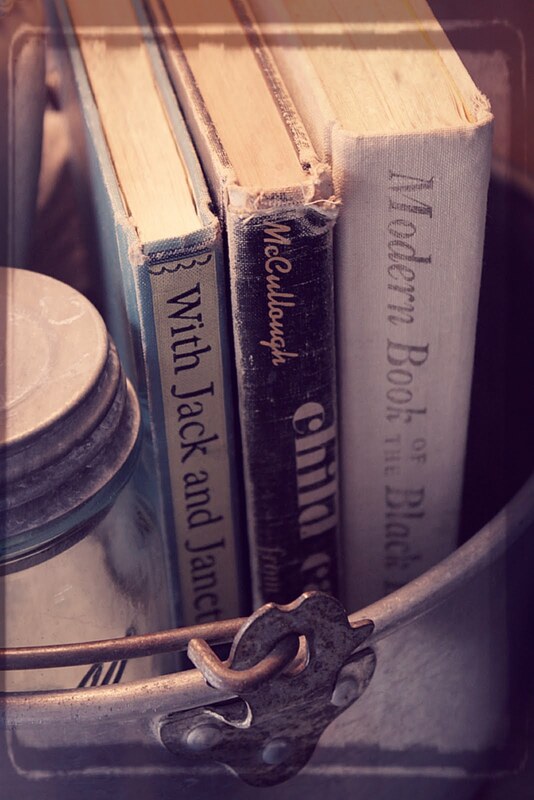 But a motto of mine is that when it comes to decorating...it really is okay to judge a book by it's cover. And it's fun to go shopping for books in that way, when you can. 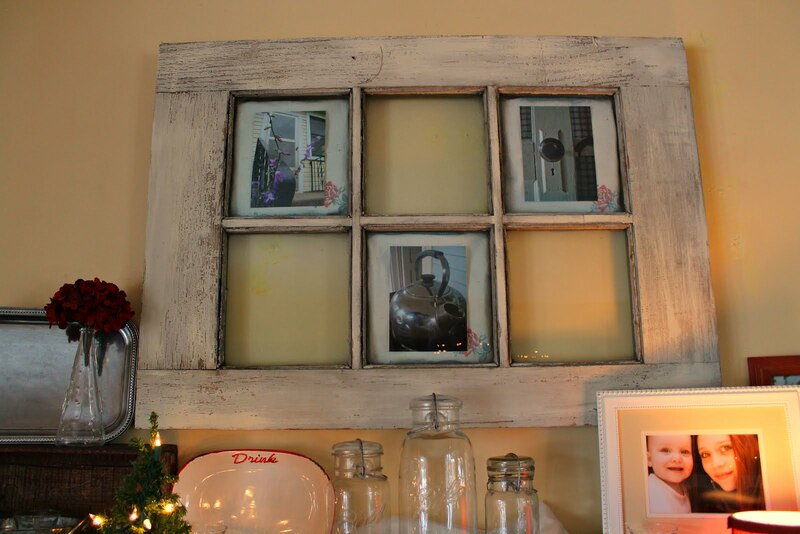 My latest find is this incredible old window. I found it at a local antique shop priced way too low, in my opinion. It is in great shape, very sturdy and made really well. It was a bit dingy and dirty so when I took it home I tried cleaning it up a bit but I didn't want to take away from the natural chippy look that it had. So I watered down some white paint and softly brushed the top surface and it brightened it up instantly, still leaving that old, rustic feel I love so much. I used some old vintage napkins as the background in 3 of the panes and placed some pictures that my Sister had photographed of my Grandma's house. I love that when I am looking at it, I get to remember such special memories of one woman in my life, taken through the eyes of another special woman in my life. Something I think I like even more than Christmas decorating (and I LOVE Christmas), is the decluttering of the holidays when the first week of January hits. This year has been especially fun as the weather here in frigid Minnesota has been in the balmy 50's! It almost feels like we have gone from Christmas decor to Spring cleaning. It's really tough being an MPD. (Multi Personality Decorator). Part of me craves being a minimalist, wanting only the basics sitting out and letting simplicity speak for itself. The other part of me wants to go and find, and collect, and decorate as much space as I can. Having a small house, and 5 kids, means there has to be a balance. 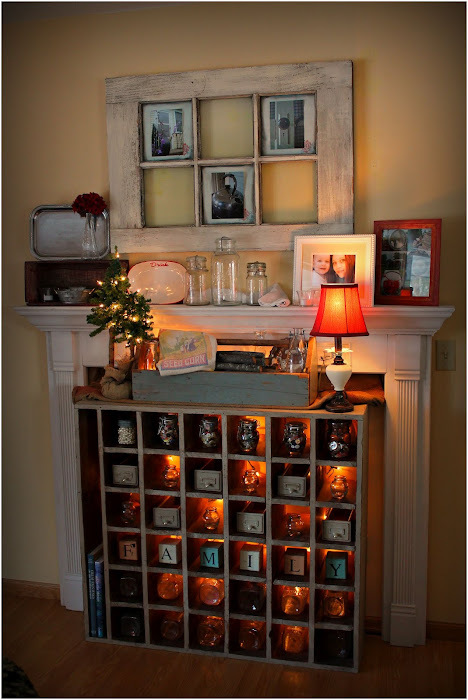 So I have been finding vignettes are a big part of how I decorate. Just a few small spaces, full of fun and pretty stuff, that is often changed up to keep the collector in me satisfied, and the minimalist in me happy and content. 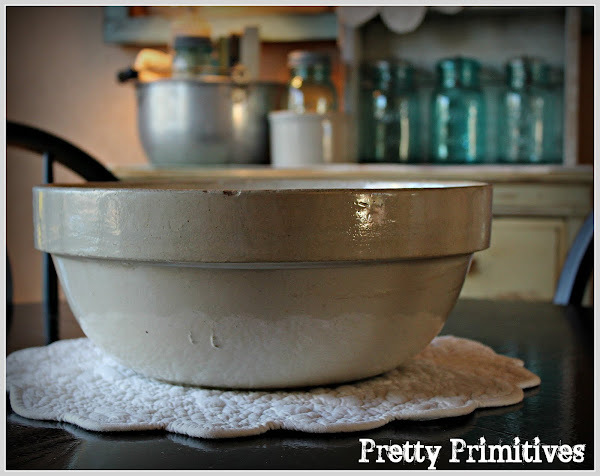 My next post I hope to chat a little more about other challenges in decorating with a small budget, and a small home. I am finding more and more, how possible and fun it really is. I found it late last summer at an old barn sale. 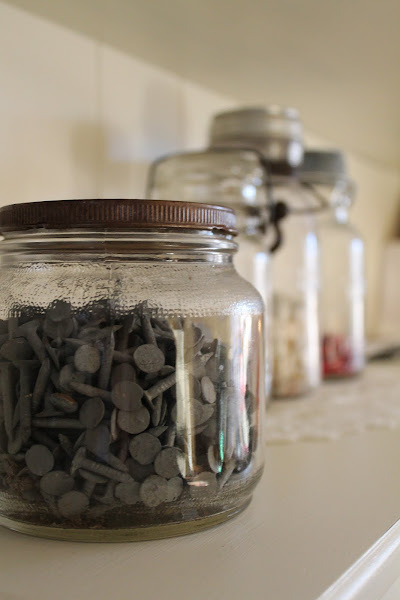 As I walked around the tables of old books and farm equipment, my eyes darting for treasure other people might look easily past, I saw this little jar of nails. For a dollar, I grabbed it quickly, without even contemplating. I'd know what to do with it later. When I got home I placed it on my hutch, and it has sat there ever since. I haven't opened it up at all. I like it just the way it is. It reminds me of the conversation I had with the farmer who was selling his old stuff. He was proud of his tattered collections. And there were plenty of people like me who seemed to appreciate it as well. One of the things I have grown to love the most in my quest to decorate my home on a budget, is finding and bringing to life items most people would throw away and deem as unusable, old and ugly. But as I look at that little jar of nails with it's rusty old top, I can't help but wonder about the man who put those nails in that jar. And I think of that old farmer...walking up and down the rows of his stuff...chit chatting with his customers. I bet he worked hard in his day. I bet he has lots of stories. I am looking forward to those days again...when the air warms up and the garage sale signs start popping up alongside those country roads. It's always an adventure... and I am always sure to find a story or two in the items I find and the people I meet. 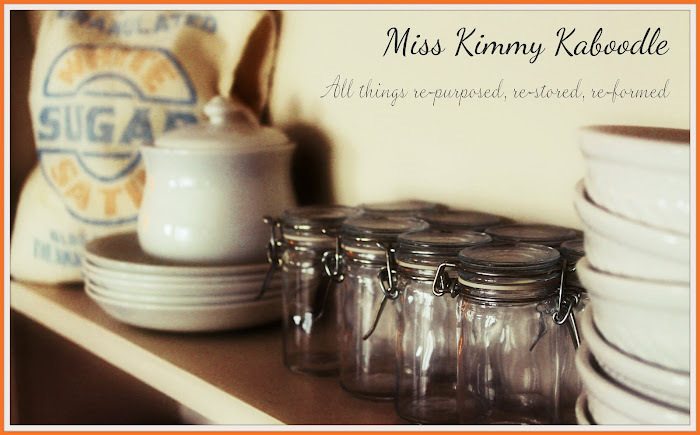 It's been quite some time since I have put my Miss Kimmy Kaboodle hat on. Things came to a sudden halt last October when my Sister was diagnosed with Non Hodgkins Lymphoma. It seemed like the moment I was told the news, all my creative energies had drained. Kind of like a plug that was pulled and there was nothing in me that wanted to paint, create, or make things new anymore. Most days, all I felt the urge to do was pray. I also felt a strong need to declutter my life, both my physical space, as well as inside of me. I wanted more room for the most important things ...time with my family, more intentional time with God, and the ability to be called upon by those who needed me without interruption. As time has gone on though, it has been interesting watching my Sister, and she has made me see the value in how doing the things you love, don't necessarily have to be put completely to the side when cancer enters your life. My Sister loves to run as much as I love to paint. She gets as much joy from teaching spinning classes as I do shopping for junk at garage sales. Her spirit is lifted after a great work out just as much as mine is when I find that most unique thrift store treasure. So about a week ago, she was in the hospital for another 5 day chemo treatment, and one of the nurses was walking by her room and saw her doing lunges. (Seriously...isn't that amazing?) So this nurse went into the hall closet at the hospital and pulled out a dusty treadmill and brought it in for my Sister to use. After hearing that story, I looked around my house. The old ideas that decorated my home for the last couple of months faded, as new ones, fresh ones, came to mind. I pulled out my paint brushes and my thrift store punch card, and that little spark came back. It's flickering ever so carefully right now, but I do believe it has been re lit. I am looking forward to a new year of blogging, using my new camera, and posting new ideas. ...and a little time on the treadmill wouldn't hurt either.